A mother is irreplaceable. She works from morning to night, often struggling with a job and her family duties..
A mum is often the family’s backbone. Being a mother or single mum is truly a full-time job. Childcare, taking care of the home, taking care of the kids, running errands, remembering appointments, preparing the meals and making sure the family’s daily routine is well organised. Take a second and think how much it would cost to replace a mother? Don’t be part of the 18% of UK Mums that don’t have life insurance cover for protection of their loved ones if the unexpected happens. Of course, the emotional trauma on her family, and especially her children, cannot be expressed in terms of money, but think of all the tasks a mother accomplishes daily, all these tasks would have to be done by a paid employee. A mother is invaluable on so many levels; however, when it comes to life insurance, a mum always puts her children first. It is well known that being a mum is not an easy task. Every day is a whirlwind. I guess I do not have to tell you what a hard job being a mum is as you are a mother yourself, you already know all about it, but have you ever thought about the how much it would cost to replace you? What is the price tag on all the services a mum provides? Well, let’s see. If you spend six hours a week cleaning the house, you are actually doing about £48 to £51 of work per week! A professional cleaner charges £16 to £17 per two hours of work. If you stretch that over a month, it’s £192 to £204 that your family would have to pay to keep the house well-organized and clean. I’ll let you do the maths of what this represents over a year, or ten years…This is the kind of money most families don’t have to spend! On top of that, cleaning the house is just one of the many tasks a mother might do. It’s only the tip of the iceberg. 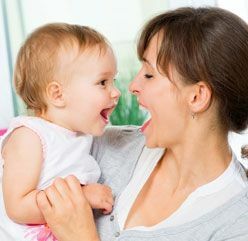 Whether you are a stay-at-home mum, or if you work outside the home, you know how time-consuming childcare is, however blissful and fun it can be. A family who would have the terrible misfortune of losing its mum would have to pay at least £26,000 per year in childcare support to make up for the care she would have provided. Losing a parent is a life-changing event for a child, let alone losing two. It is hard to think about such things, but the truth is that 1 out of 20 children lose one or both parents whilst still being a full-time student. The pain of losing a parent cannot be eased quickly, only time can heal it, but fortunately, the financial implications of such a terrible loss do not have to be added on to the already very painful grief. It is better to be prepared for such eventualities. Having your finances in place will provide a much-needed relief to your partner. They will be able to take the time to give emotional support and care to the children, taking time off work when need be. Such a financial safety net can be provided by life insurance. Family Income Benefit, a type of life insurance specially designed for young families, gives a monthly income to grieving families, providing them which a much-needed support. Errands, driving, after-school activities, paying the bills, and more! Aside from everything we have mentioned about, a mum also works hard outside the home. She runs errands, drives her kids around, participates in school activities, takes care of the bills; she does the grocery, and so much more. All of these crucial tasks would have to be either done by the father or the family would have to hire someone to do them, which would end up costing a lot of money. A Life Insurance Plan For Mum: Why? Simply, to take care of your family. To make sure they are taken care of if something happens to you. If you purchase a whole of life insurance or a term insurance and the payments are made each month, you will be making sure that your family is provided for when you are no longer around. Whole of life insurance lasts for the whole of your life and a term insurance plan last for a set amount of time, around 25 years. Your family will be able to put money towards the future of the children but also alleviate the cost of paying professionals to do the work and any tasks you used to do as a mum. Which Life Cover Is Right For You? To leave a legacy behind is a beautiful thing. Every mum wishes she could take care of her family forever, but this is not always possible. A life insurance policy allows you to leave your family with one less burden, less stress and the capacity to live happily, even if you are gone.